Former tennis player, Raymond Moore resigned as CEO and tournament director at Indian Wells on Monday morning, March 21st in the wake of pushback from controversial comments he made during a breakfast with members of the press on Sunday, a mere few hours before Serena Williams faced Victoria Azarenka in the final of the BNP Paribas Open. Mr. Moore was asked to comment on the state of women’s tennis and said … “ in my next life, when I come back, I want to be someone in the WTA because they ride on the coattails of the men. They don’t make any decisions and they are lucky. They are very, very lucky. If I was a lady player, I’d go down every night on my knees and thank God that Roger Federer and Rafa Nadal were born because they have carried this sport. They really have.” He then reflected on the “attractiveness” of both the games and physicality of upcoming WTA players who could lead the tour after Serena Williams retire. There was the usual mea culpa after his comments were made public, but it was clear that for many he had gone too far. So, within a day, Raymond Moore had been allowed to resign from his post. These comments while not as provocative as Moore’s essentially arrive at the same point: the men’s tour should be valued differently than the women’s tour and that value should be based on popularity as reflected by tour revenue. Basically, the men’s tour makes more money, therefore, the individuals on the men’s tour should get a bigger share of the profits, even if that means the women get paid less. So, while equal prize money has been a hard fought ideal in tennis, it doesn’t reflect market reality or sound economics. Apparently, the market says that men’s tennis is more valuable; so their paychecks should be written accordingly. To hell with equal prize money! Of course, if the markets were to change in a few years and reflect an increased value for women’s tennis, women’s checks would also reflect that change, I’m sure. While others have done a superb job of charting the history of the ATP and WTA, looking at earnings by both tours, and contemplating women playing best of five sets, their arguments were leaving me cold, upon reading them. I was actually starting to wonder if I didn’t completely buy into equal pay! Then I started to contemplate Moore’s statement and why I was not shocked nor appalled when I heard it. On its face, his statement is off-putting in its rawness; yet, it reveals a subtext that has long been a part of tennis coverage for the last eight years that I have been following both tours closely. Unlike many who expressed outrage, which I found hypocritical as the women’s tour is often savaged in favor of the men’s tour in commentary booths, Djokovic didn’t completely dismiss Moore’s claim. He actually sought to rationalize or give context to it. I’m grateful that he did, because maybe we can finally talk honestly about tennis’s privilege problem. 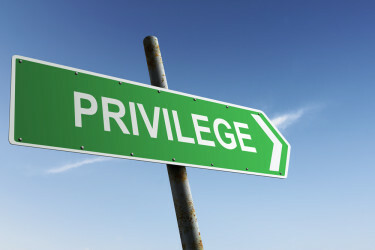 Just as the US has begun to confront and challenge notions of white privilege, we must begin to unpack male privilege. I’ve seen a number of commentators push back on Moore, saying that he’s sexist and anyone who doesn’t support equal play is sexist as well. Given that equal pay exists in very few places, I would hope that we know that the sexist label doesn’t actually get us anywhere new. The world seems to function very well being sexist and racist in its construction. Moreover, those suggesting that equal prize money in tennis strikes a blow to sexism and should thus be maintained also don’t offer much of a rationale beyond the accepted premise that sexism is just bad, ya’ll. Moore’s comments reveal a bias that few on the ATP and society at large are willing to confront: maleness is the default from which all values spring; male sports is the absolute zero for what is deemed of value and so, it is in tennis. It’s why whenever equal pay comes up, someone inevitably tells us that women should play best of 5 sets in order to get paid just as men do, failing to see that the men only play best of five four times per year (the Australian, French, & US Open and Wimbledon), if you forego the Davis Cup. Or some suggest that men and women should compete against each other to determine who is really better. It’s nearly impossible to get detractors of equal pay to understand that if they valued women’s work as much as they valued men’s work, they wouldn’t need women to adopt the same constraints that exist in the men’s game. What if I told you that at all the other non-slam events, men and women play best of three sets and women still get paid less than men. Maybe it’s not about the number of sets played? The equal pay conundrum is about something that cannot be fixed by simple math, as Djokovic and the ATP would have us believe, when they say look at the revenues. Who determines the value of a sponsorship in tennis? Is it more likely that a sponsor or even a broadcaster will pay more to the ATP than to the WTA? That’s for damn sure. Do they pay more because of the knotty argument that men’s tennis is simply just better than women’s tennis? Or are sponsors and broadcasters likely to be biased, as most industries are when they start with men as the default? How about the idea that men simply attract more viewers than women, so they deserve to be paid more? In tennis, that’s a tenuous argument at best because the game’s stars rather than the game itself drive spectators’ general interests. Fans pay to see Serena Williams, Roger Federer, and Rafa Nadal, for the moment. If you want to run with the argument that it’s two to one for the men, it won’t hold much weight in five years when all three are retired. What’s probably most uncomfortable for us to confront as fans and even commentators of tennis is that we have a bit of Moore inside of us as well. We have often been guilty of using men as our default value in tennis. We contrast the women’s game with the men’s and use a deficit position to talk about the women. Just recently, a young female tennis player proclaimed that she didn’t watch her own sport in favor of men’s tennis. Now it’s her right to do so, but her rationale was very much in the vein of the women’s game possessing deficits in serving and emotional stability. It’s a real challenge to say that men and women play different styles of tennis and appreciate both. It’s almost an impossible ask to have that even-handed approach in those who insist on seeing tennis only under the auspice of a “sports and entertainment business” like the ATP advocates. If that’s all we can do, then we are forced to necessarily embrace sexist and racist structures in not only our cultural institutions but our businesses as well. Or we can attempt as I believe the International Tennis Federation, who runs the slams did, that we are going to move against that grain and embrace equity across the men’s and women’s games. Well-reasoned argument & it echoes some of my thoughts. Will there ever be a time where the men’s game isn’t the default value? I am not optimistic. I do believe the only way Raymond Moore was able to so comfortably state his views without fear of repurcussion was because the same sentiment in the same room has been echoed time after time. The only suprise was the bluntness of the statement. You do hear the contempt for the WTA from some of these announcers as well as see it from the print journalists. Mostly I want to slap the little twits on the WTA tour who denigrate the tour and themselves by proudly proclaiming they don’t watch women’s tennis. What does that say about us fans that enjoy watching women’s tennis? Why should we contribute to their livelinhood if they don’t respect it? Rant over.. I could go on & on. I know! I mean why mention those things out loud as members of the WTA! That’s your livelihood. It reflects you. But we internalize negative ideas of womanhood, I guess. You are absolutely right and going further, Moore comes from a patriarchal background, is 69 yrs old and has male privilege embedded in his DNA. I agree. It’s something that he has never been forced to confront. Could not have said it better myself. What annoyed me more than anything else is the fact that in the follow up questions that were asked, I can’t recall seeing where any of the presumably male journalists who were present expressed any type of outrage at Moore’s comments. It was frankly business as usual. Someone needs to call me whenever I see a schedule of play and the main show court has more women than men’s matches. When the match of the day is not a 5 set slug fest between 2 men who can’t finish a point to save their lives and is replaced by a 3 set match between 2 women who played scintiallating, entertaining tennis. No one says those things unless they feel very comfortable and believe they are reflecting the room on some level. All the reactions have also just said he was vulgar. Not that he was wrong, per se.